Good morning and Merry Christmas! In addition to the holiday season, this is an exciting time for my family as we prepare to move into our new house. The only thing holding us back at this point is having the power turned on. Since we started the home building process nearly 6 months ago, I have been daydreaming about organizing each and every space. 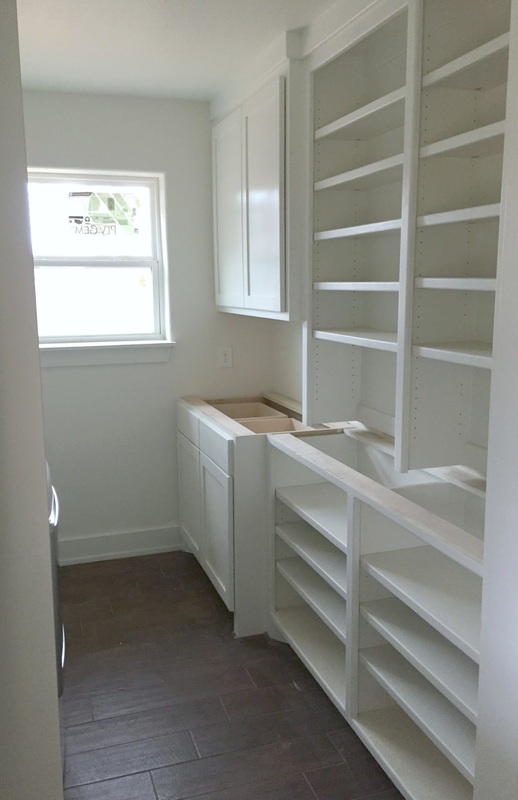 The area that has me most excited is the butler’s pantry/laundry room combo. The pantry is a dream, and I have big plans for it. There is only one catch…it’s all open storage, and I decided not to put a door to this room because I know the potential it has to be gorgeous. That being said, I am more motivated than ever to keep it clean, organized and most of all, functional. We still have to install counter tops, and I plan on taking out several of the shelves, but here is a sneak peek. Keeping a pantry in order is a difficult task. We use ours at least three times a day so items are constantly being taken out and put back in. 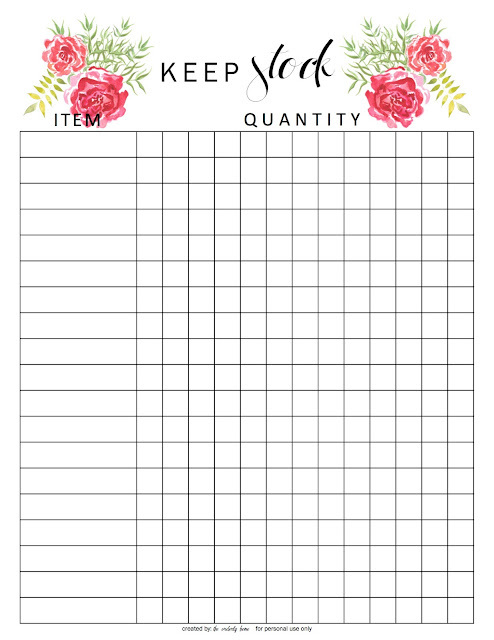 To help keep this space organized and to ensure that nothing goes to waste, I have created an inventory sheet that can be used for the pantry, refrigerator, or freezer. And, I am sharing two different versions with all of you lovely Delightful Order readers today! You can print a copy each time you fill one up, or you can laminate it and use it again and again, which is what I plan on doing. 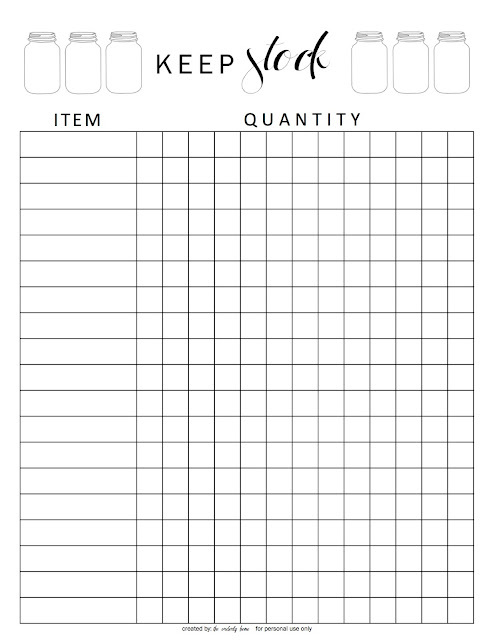 You could even use this sheet to keep stock of toiletries and other items around your home. Just choose the one you like, click the image below, and download a copy for yourself. Simply click on the photo(s) above to be directed to the FREE printable. Hi! I'm Kristin from The Orderly Home. I love all things organization and I'm a sucker for pretty storage solutions and anything that makes life easier for me and my family. 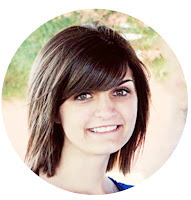 A little about me: I'm 27, married to my best friend, and mama to a precious little boy. I'm a Texas girl who enjoys cooking and baking, spending time outdoors, and barre workouts. My idea of fun involves an iced coffee, some good music, and a label maker. My style has evolved over the years, and currently I am gravitating towards anything simple, clean, and neutral.